If you have any sense of empathy at all, you'll be squirming uncomfortably for Greg (Stiller), a nice Jewish boy who suffers an extended brainlock when he meets his girlfriend Pam's (Polo) WASPy parents during her sister's wedding weekend. It doesn't help that one of those parents is Jack (De Niro), an ex-CIA psychological profiler who takes an immediate dislike to his prospective son-in-law. Greg starts off on the wrong foot by accidentally smashing the urn holding the ashes of Jack's mother with a champagne cork, and his luck goes down from there. The rest of the cast performs well, especially Danner as Pam's mother, and De Niro plays off of his tough guy image for a brilliant comedic performance. 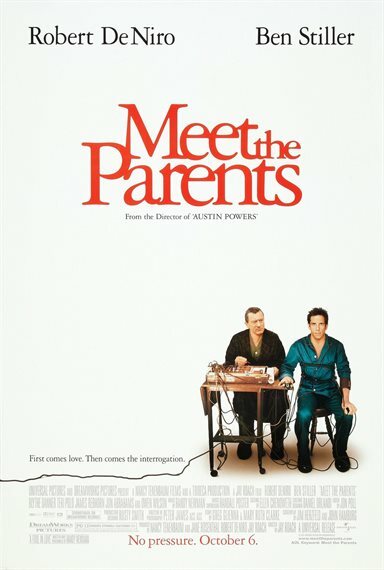 Download Meet The Parents in Digital HD from the iTunes store. Meet The Parents images are © Universal Pictures. All Rights Reserved.